The Staff Selection Commission (SSC) has relaxed the cut-off date to apply for Combined Graduate Level Exam 2016. The Competent Authority also extended the last date for receipt of applications for SSC CGL Tier 1 2016 exam by 10 days. Now, the last date for receipt of applications (Part I) is 21.3.2016 (5.00 PM) and (Part II) is 24.3.2016 (5.00 PM). In the earlier notice, the cut-off date was as on 1.8.2016. In view of a no. 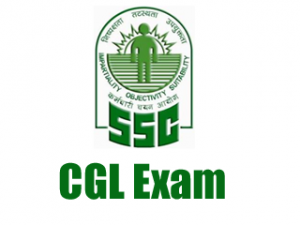 of representations received by the Commission, and keeping in view the interest of the candidates, the SSC approved the proposal to allow the candidates fulfilling the age criteria on 1.1.2016 to also apply for SSC CGL Tier 1 2016 exam. As per the amendment, all the candidates meeting the age criteria as on 1.1.2016, and also on 1.8.2016 are eligible to apply.